The Coral Reef experts are already on the island gearing up for the 16th Annual Coral Reef Ed-ventures summer program scheduled for June 29th. The program is organized by students from Smith College in Northampton Massachusetts, USA with assistance from Hol Chan Marine Reserve. To kick off the fun, members of the program held a movie night on the evening of Tuesday, June 9th at the Lion’s Den 6:30PM sharp. 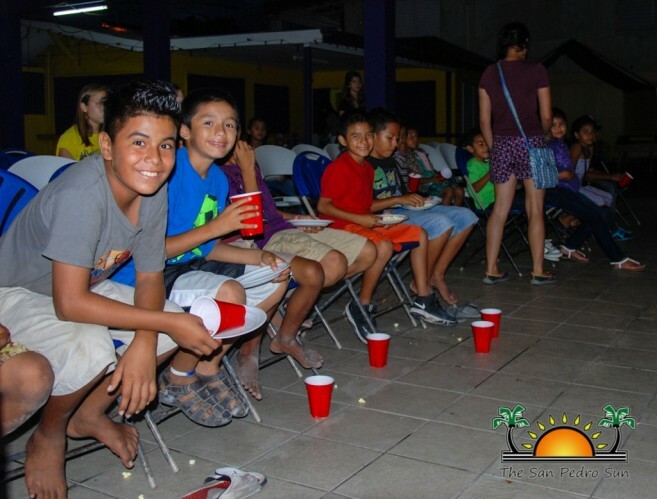 According to co-leader Riley Gage, the movie night is a way to get the word out about the program to everyone on the island. “Movie night is for the whole family, especially the children as we are showing “Finding Nemo”, which I am sure any child loves watching! The movie does relate with our program, which has to do with the reef and learning about its many inhabitants,” said Gage. The turnout was satisfactory, with mainly children showing up, eager to watch the charming clown fish in action. As the kids sat down getting comfy to start watching the movie, members of the program cheerfully served them popcorn and juice. “We put fliers around town and also visited some schools, did some skits and told the students about tonight’s movie,” stated Gage. Gage encouraged all the children to sign up for the program which starts in a few weeks. The two week program promotes the conservation of the Belize Barrier Reef to island children. Registration forms are available at the San Pedro Town library and at the Hol Chan Marine Reserve Office.